Creating groups provides a way for organizations to keep a collection of members together. Groups provide the ability to assign group permissions to pages or send mass emails. 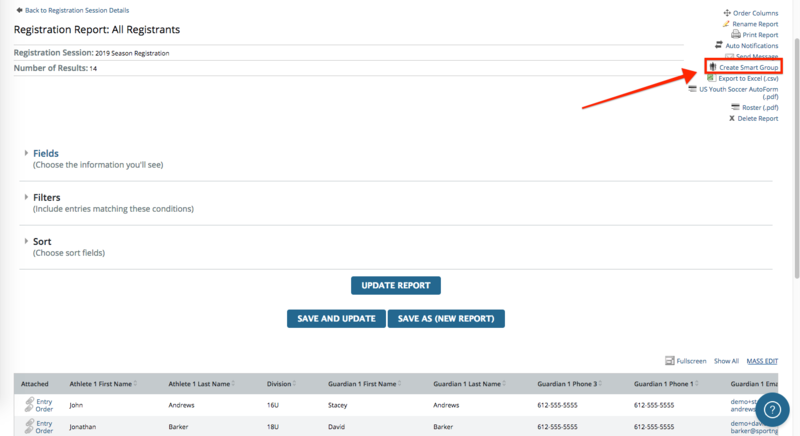 If a group is created from the member directory or the registration, you can attach a group to the page. Group: A collection of members that can be added to a single group from the list of members in the directory. Smart Group: Either created for the list of members or from a registration session. As people become members of the site or register, depending on how the filters are set up in the smart group, members will dynamically be placed in these groups. Note: Only a Webmaster or user with access to the registration information (such as the Registrar) are able to create a Smart Group. They are also able to assign a Smart Group to a specific page so the 'owner' of the page could access the group. Step 3: Select the Groups subtab then choose Create New Group. Step 4: Select either Group or Smart Group. Step 2: Select the Registration tab then select Registrations. Step 4: Click Create a Smart Group. Step 1: In Edit Mode, navigate to the page the Group needs to be attached to. Step 4: Choose Create Group. Step 3: Navigate to the page you would like to add the Group. Step 5: Make sure page is private (so only group members will see the page). Step 6: Choose your Group and select Add Group.